This is kinda older news, but I guess I can say that I'm with the big boys now. 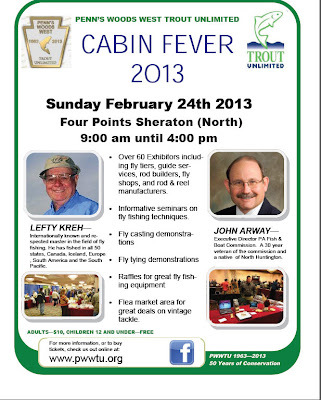 Never thought I would be on a flyer with Lefty Kreh. Actually, the photo in the bottom right is a picture from our blog from last year's event. It was a great show this past Sunday. 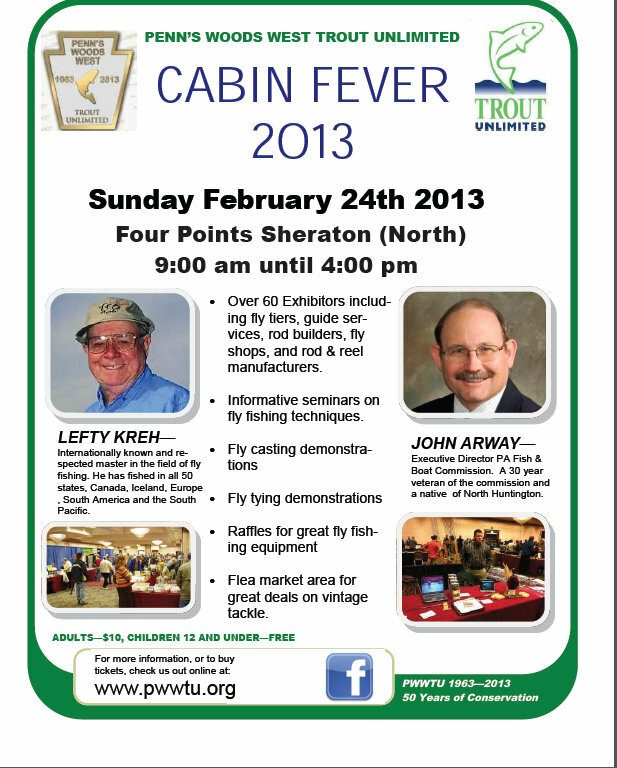 Saw a lot of familiar faces and were able to book a few trips for the upcoming fishing season. As usual, I tend to find a great deal at the show. From Ultimate Anglers Fly Shop in Erie, PA, I was able to get a Winston WT 7' 2wt fly rod for $200. What a steal for a brand new rod with original warranty. I just order a Battenkill Bar Stock I and some Hydros Superfine fly line to complete the outfit. I will be bouncing to a couple brookie streams to test this out. As of late, I have noticed some black stones on my stream. It is only a matter of time to have a great day on the water soon. Just have to let the rain subside a bit. Last snow storm, Zoie and I went to cookout and enjoyed our time out in the snow.